Hi there!!! It's a new year and there are so many fun things happening at Stamping Bella this year!!! 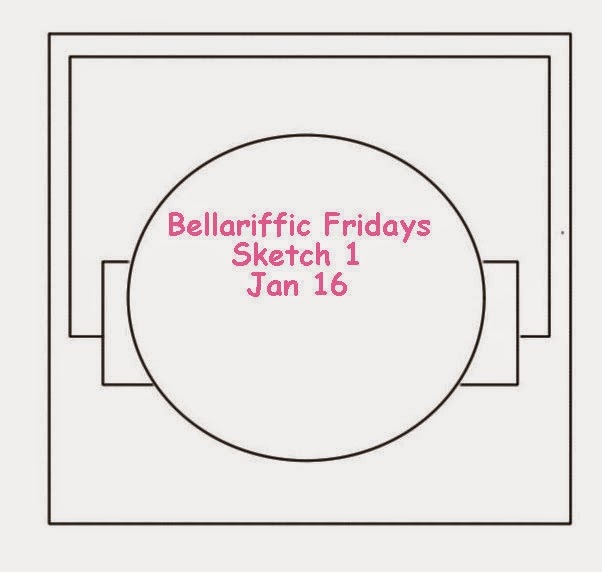 It's our first Bellarific Friday of the year and we are so excited about the things happening. First off, we want to introduce another fabulous Bella babe. A big 'Bella-welcome' to Kerri - check out her gorgeous creations on her blog here. You'll also notice that the entire team is using the same image today. Wanna know why??? We now have a featured stamp of the month and this month we are featuring Gracie. We get to highlight an awesome stamp (who are we kidding? All of the stamps are awesome) and you get a ton of inspiration. With that being said, the featured stamp is 20% off for the entire month!! So, lets get on to our first challenge of 2015. 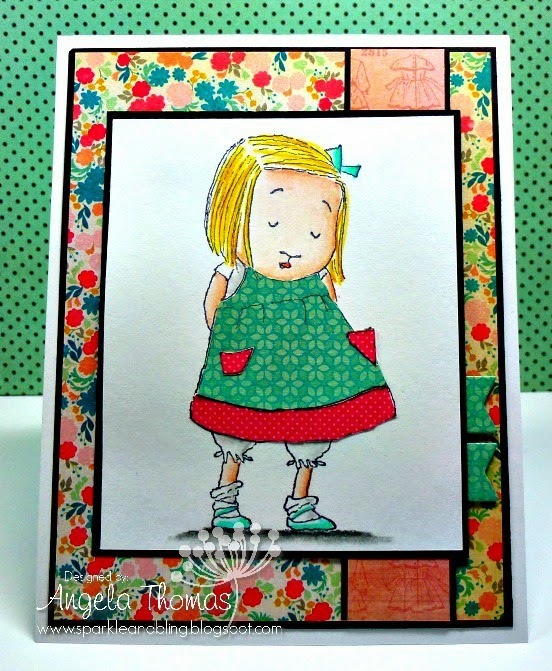 This week the challenge was "anything goes", so that was an easy one to start off another wonderful year of stamping! For my card, I have used Gracie along with the current Sweet Sunday sketch challenge. I'm trying to make a bigger commitment this year to do more sketches. I've coloured Gracie with Prismacolor Pencils and Gamsol. I also paper pieced her dress for a bit of fun to match the DP. Next week's challenge is a sketch!!! Don't forget you have until Thursday evening to get your card in to Emily at emily@stampingbella.com. All that we ask is that you use a current image (just type in the stamp name in the search bar)..